The Houston Zoo has broken its attendance record yet again, reporting 2,550,453 million visitors for 2016 maintaining its elite position as the second-most-attended US zoo with a paid admission. This banner year of visitation surpasses the organization’s 2015 attendance record of 2.46 million visitors. Animal births held the spotlight in 2016, and guests were introduced to babies like giant anteater, Rio, and TJ, the zoo’s first California sea lion pup in 22 years. 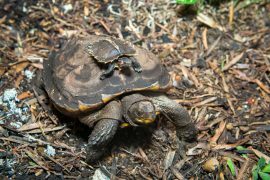 Baby fever seemed to spread through nearly every animal department and the successful births of endangered turtles, aquatic species, hoofed stock, primates, and more than 40 species of birds were only a fraction of the flourishing young animals born during the past year. The zoo also said goodbye to one of its most iconic residents, Jonathan the lion. The 18-year-old male lion died in September after veterinarians discovered he had a serious blood clotting issue and low white blood cell count – findings that are not uncommon in geriatric patients, who often develop the more complex medical conditions. His absence continues to be felt by all who cared for the elderly lion. The Houston Zoo maintains its devotion to world-class veterinary care and finished construction on a state-of-the-art veterinary hospital. The new facility enhances the capabilities of veterinarians and clinic staff as they safeguard the health of the animal residents ranging from growing babies to older “retirees.” This was the second phase of a multi-phase construction project to expand and improve the veterinary services complex. The zoo’s former clinic is currently under complete refurbishment and will reopen later this year as a new support and veterinary science facility. Throughout the year, the zoo demonstrated its dedication to connecting communities to inspire action to save animals in the wild by engaging in conservation projects locally and abroad. The Houston Zoo is exceedingly proud of its wildlife conservation partners that work across 20 countries on projects like the reintroduction of endangered crowned cranes in Rwanda, scientific efforts to rescue and release rare terrapins in Sumatra, and community education across several countries in Africa to ensure a future for lions. Zoo staff and passionate volunteers echoed the organization’s commitment to save animals in the wild, contributing countless (and often unpaid) hours to protect wildlife. 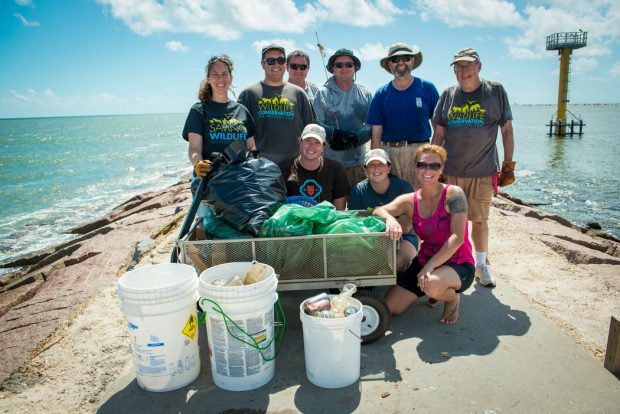 For example, efforts begun by the Houston Zoo sea lion team resulted in the removal of 545 pounds of trash, 302 pounds of recyclables, and 92 pounds of monofilament from the Surfside jetty on the Texas coast, a significant stride in preventing local sea turtles from becoming entangled in discarded fishing line and trash. This initiative was presented a 2016 Proud Partner Award from Houston Mayor Sylvester Turner. The organization was humbled by the generosity and passion of its donors who provided more than $9,000,000 in gifts to support the zoo. In 2016, two of the zoo’s largest annual fundraising events, Zoo Ball and Feed Your Wildlife Conservation Gala, topped donation records, and for the first time both events raised more than one million dollars each. This year promises to be another exceptional one. In late spring, the zoo will open a massive expansion of the McNair Asian Elephant Habitat. To complement a spacious new barn, a brand-new habitat is currently under construction that features a boardwalk with an unobstructed view of the elephants’ 130,000-gallon pool and expanded yard. The expansion will highlight the zoo’s commitment and ongoing work to save elephants in the wild. Wrapping up its fifth year of winter wonder, TXU Energy Presents Zoo Lights helped over 300,000 Houstonians create memorable moments with family and friends with holiday music and millions of energy-saving LED lights. Through its robust collection of educational programs from summer camps to in-school ZooMobile classes, the Houston Zoo’s conservation education department worked to bring nearly 34,000 children and adults closer to the animal kingdom. Hundreds of volunteers generously donated upwards of 34,500 hours of their time assisting zoo keepers, educating the public, and supporting zoo operations. 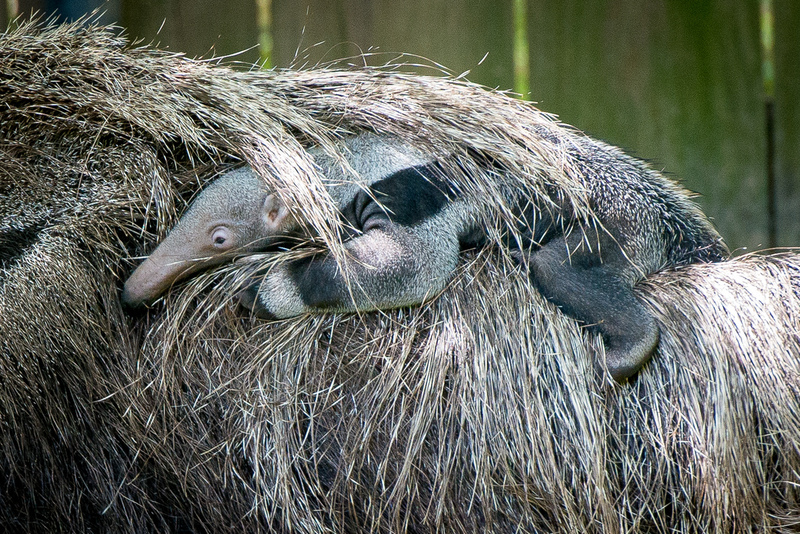 Zoo staff encouraged one another to advance professionally through the pursuit of wildlife conservation work, awarding project grants from their own Houston Zoo Staff Conservation Fund.